When shopping for software to develop your eLearning content, it is important to get the right tool for the job. 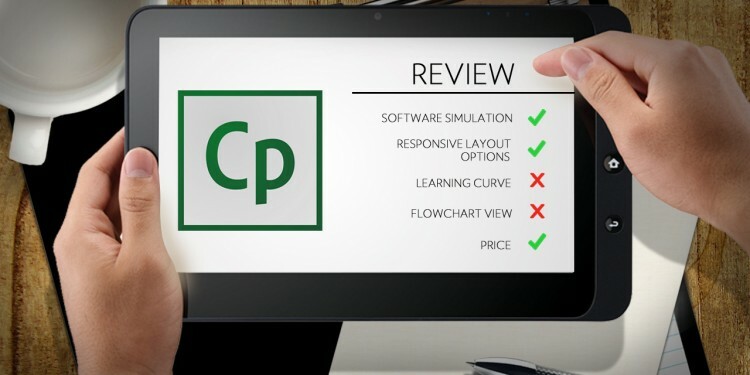 Today we’re looking at Adobe Captivate and what its strengths and weaknesses are in comparison to competing tools like Articulate Studio, Storyline, and Lectora Inspire. Having worked with all of these, I have found Captivate to be, above all, a powerful and affordable tool with particular strength in software simulation/screen capture training. Adobe Captivate is a full-featured eLearning authoring software. It is available as a subscription or can be purchased. 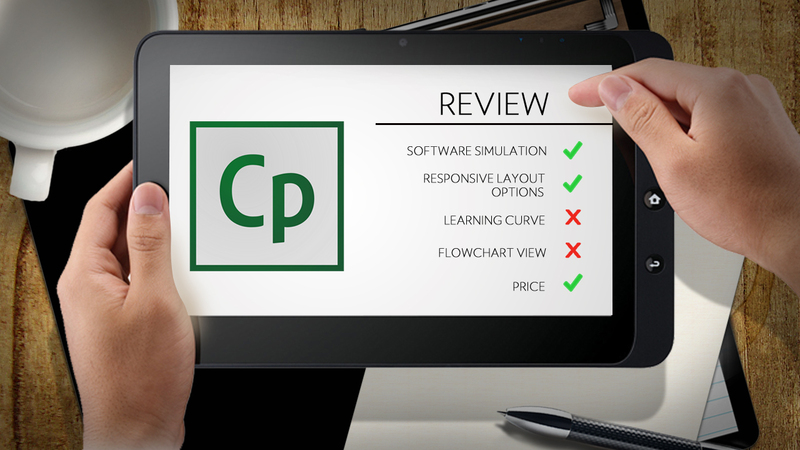 Like most eLearning software platforms, Captivate’s interface is slide-based, with the program starting at slide 1 and going on from there. With Captivate, like Articulate Storyline but unlike Lectora and Articulate Studio, each slide has its own “timeline,” where you set the appearance and timing of events and animations on the slide. It is important to state that almost all the platforms do everything you need to do in one way or another, but some are stronger in certain areas. So what are Captivate’s strengths and in what areas do other tools come out stronger? Software Simulation – One of the slide types in Captivate is screencasting and another slide type is video demo. These features are integrated into Captivate and your recordings translate right to slides, with mouse movement and keypress events layered over as editable animation. No need to go outside the software. Nice! Responsive Layout Options – Captivate is the only tool where you can see all three views on one slide in a responsive project. You can toggle from desktop, to tablet, to phone and even drag elements around on the slide to optimize the look of a particular view without affecting the other views. Price – Captivate by itself costs about $1000, but it also comes as part of the subscription-based, for $30/mo Along with price, it integrates seamlessly with Adobe’s other tools like Photoshop, Illustrator and Flash. Quizzing – While Captivate has full interactive and quizzing capabilities, Lectora has more built-in variables and actions. If your interactions or quizzes are complicated or you want to customize their logic, Captivate might be slightly limiting. Learning Curve –Captivate will take some time to master, especially if you have never worked with a timeline palette. But once mastered, it is a powerful platform. Articulate Studio is easier to learn since it works from within PowerPoint, but it doesn’t have near the power or flexibility as Captivate. Flowchart View – If you are a person who prefers working with flowcharts and visual layouts, you might prefer Storyline which has “story view.” In Captivate, you have to keep track of branching in your head, draw a picture, or actually look at slides to find the buttons and actions to see where they lead. If your eLearning is heavily quiz-based and interactive, you might want to look to Lectora or Storyline. If you are working mostly with software simulation and screen capture, need a responsive authoring tool or are working under budget constraints, Captivate is a good choice to make.